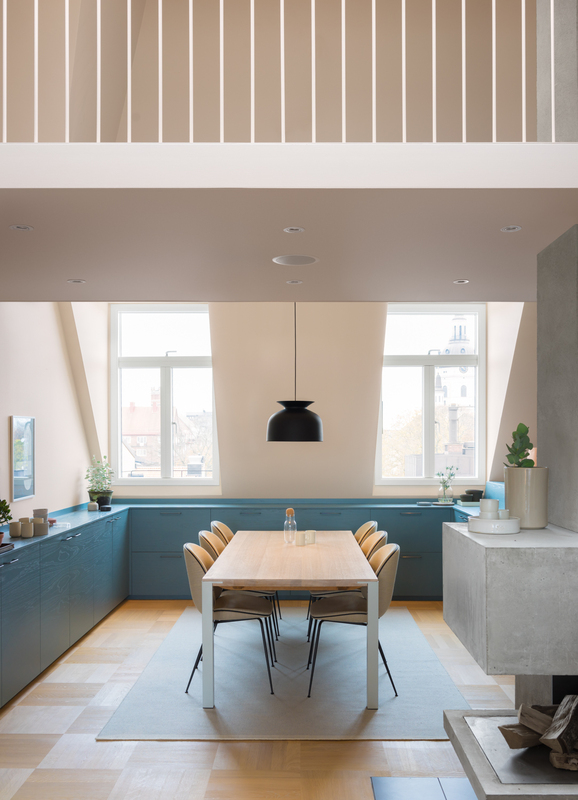 To inform the color palette for this interior renovation in Stockholm, NOTE Design Studio began with three inspirational images. “We let our gut feelings lead us,” says architect Susanna Wåhlin. They chose a picture of a woman in a cashmere coat (for its softness and style), a plaza in Rome (for its timelessness), and a pair of sand-colored sneakers (for its laid-back connotation). The palette is apparent in the kitchen, where a STRIPE rug from Kinnasand accents the family’s dining table, framed by chairs and a hanging lamp by Gubi.